One of the most important things you have to do after an accident is to call your car insurance agent and file a claim. Always make sure that you provide the most accurate explanation of the accident to your insurance agent. Everything goes fine if you keenly follow the guidelines given by your insurance agent. Do you really want to file the claim? Make sure that you think twice about really filing the insurance claim. You can also take your agent’s opinion on this. Filing an insurance claim means a negative entry in your insurance records which is not at all desired. Keeping your insurance records clean is very important and thus, you must take a firm decision regarding this. No matter if the accident is your fault or not, it’s always better that you ask yourself if you can pay for the damage without any financial hardship; and if yes, then not filing the claim is good. Have you prepared a worksheet? If you want to file the insurance claim, prepare a detailed sheet of checklist of the things to do after an accident. Have you tried finding any witnesses to back up you explanation in front of the insurance company? This helps a lot. Submit all the documents Ask your agent about all necessary documents and paperwork. You will have to send the copies of these documents at the earliest from your side because they might be asked for anytime. File the claim Your insurance company handles all the insurance and claims process on your behalf. You just need to keep the track of its progress. The other party might call you! If there are some differences between both the parties involved in the accident, you will probably get a call from the insurance company of the other party. Without being nervous, just make sure that you document everything that you say on the call. Get your car fixed! 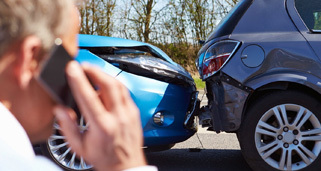 After the approval of your insurance claim, your insurance company calls you and sends in an insurance adjuster to assess the car damages and evaluate overall costs for repairs. This is the time when you can finally get your car fixed! Bayside Smash Repairs is one of the best smash repairs and panel beaters Moorabbin. We are also a recognised Brighton smash repairs centre. We provide you with complete assistance in insurance and claims process till we finally handover your car to you!